The Foxy Lady is a grand 60ft launch. She will give you the Marlborough Sounds experience that no land-based holiday home could ever hope to. THIS IS A STATIONARY BOAT STAY ONLY. The package includes all meals, linen and boat transfers. YOU WILL BE VERY ISOLATED WHILST ON THE BOAT AND HAVE NO ACCESS TO SHOPS, PLEASE BRING ESSENTIAL TRAVEL/MEDICAL ITEMS WITH YOU. Available 1 November - 30 April. 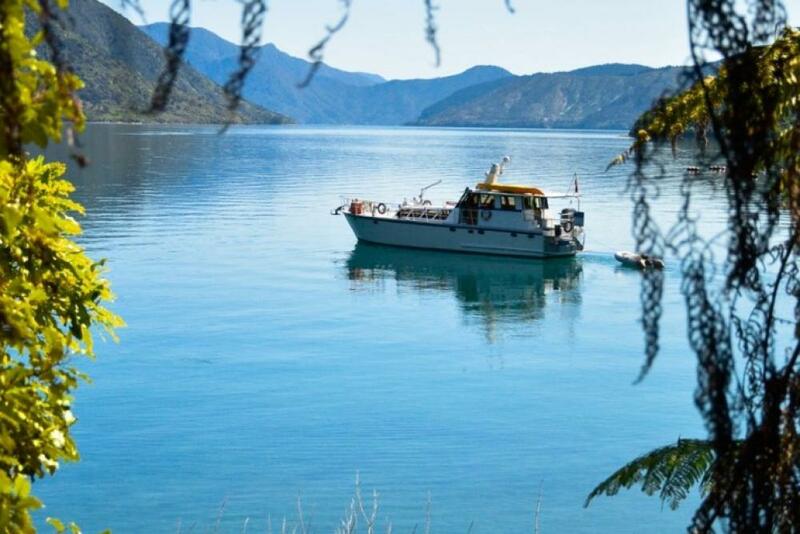 Catch the Pelorus Mail Boat from Havelock at 0930 for a cruise through the Marlborough Sounds on her daily run, she will transport you to The Foxy Lady within the Marlborough Sounds. The Foxy Lady will be waiting in the perfect place somewhere in the Pelorus Sounds ready for your overnight stay. 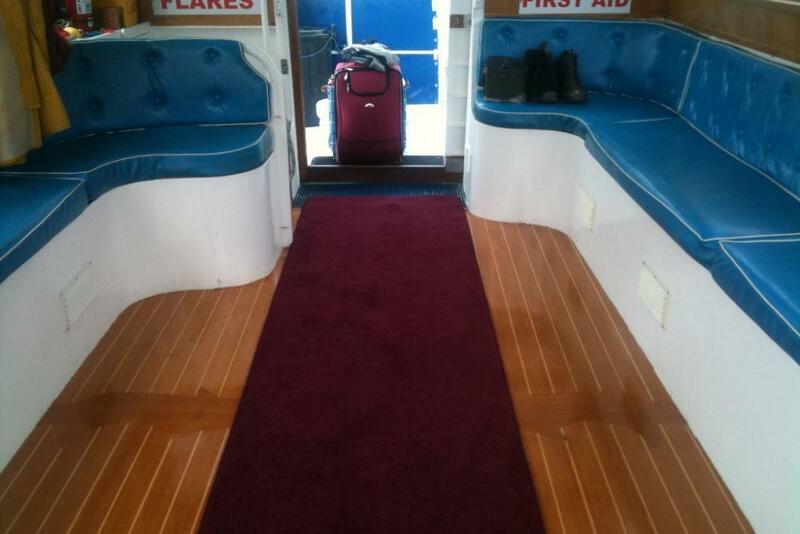 The Mail Boat will moor alongside and transfer you and your gear. You will be picked up by The Mail Boat on your departure date and returned to Havelock. Arrival times back to Havelock will vary depending on the Mail Boat run. Guest access - You will be able to roam the boat at your leisure, being mindful that it is a boat and children will need constant attention. Guest interaction - There will be a staff member on the boat with you at all times. 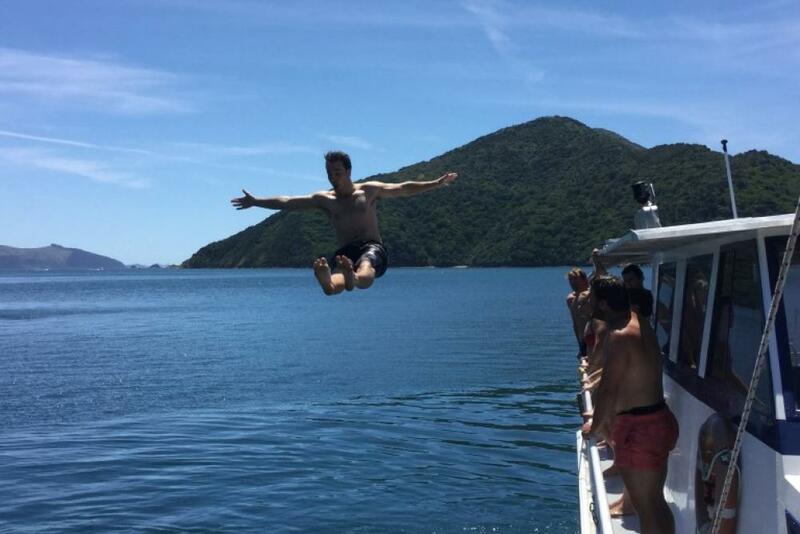 They are very sociable and love sharing the Marlborough Sounds experience. Package includes 1 nights accommodation and 2 days on board, shared between The Foxy Lady and Pelorus Express. 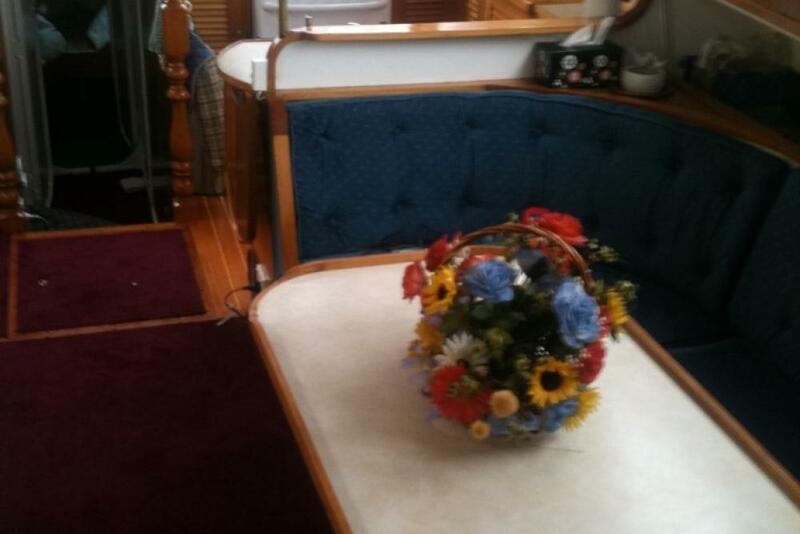 All meals, linen, fishing gear and Mail Boat transfers are included in price. 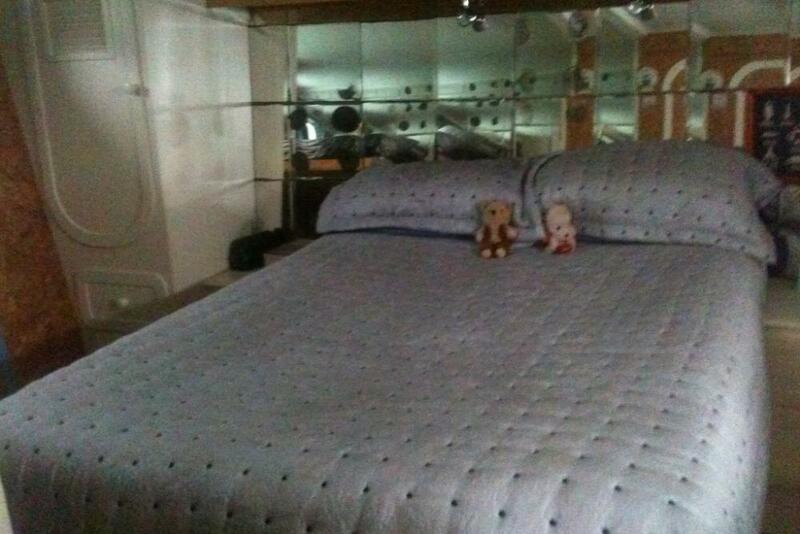 Any extra nights accommodation aboard The Foxy Lady is $300 per person per 24hr stay. Havelock is on SH 6 between Blenheim/Picton and Nelson. There is a dinghy available for use. 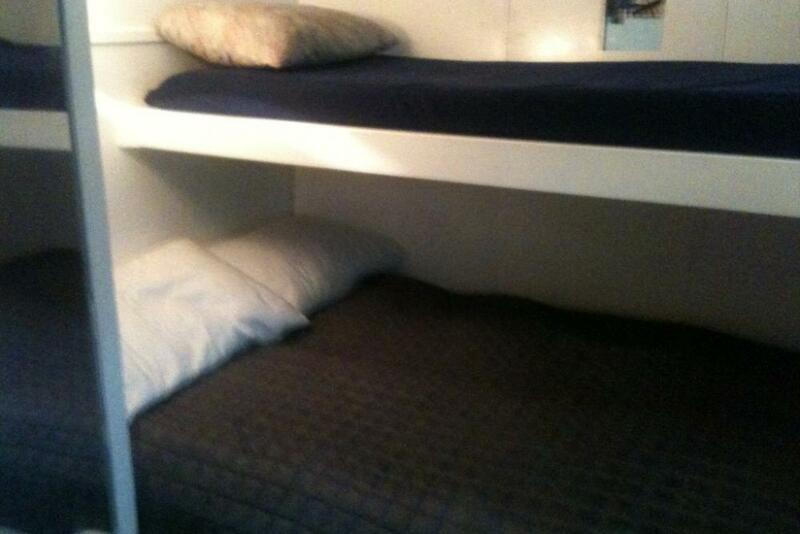 Kitchen (galley), living/dining room, viewing deck, fully equipped bathroom. Fire extinguisher, first aid kit, smoke detectors. Airports - Blenhiem or Picton 40min drive, Nelson 1.5 hours drive. 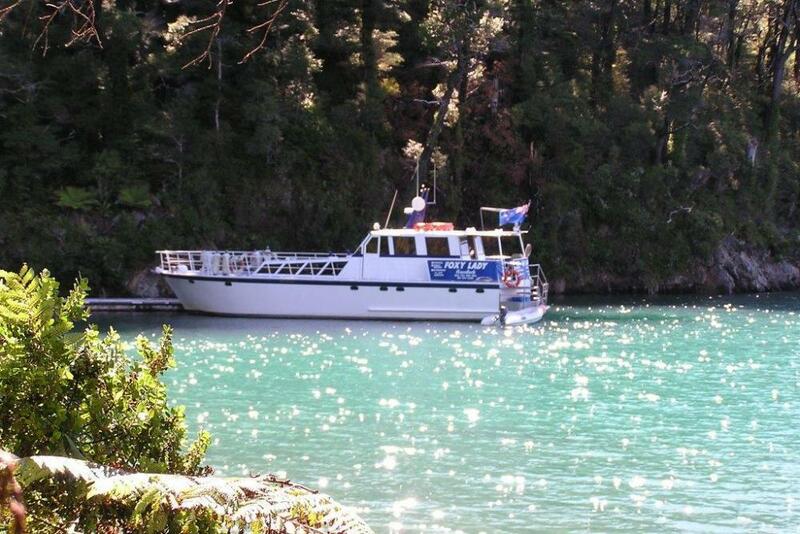 Meet The Pelorus Mail Boat at the Havelock marina at 0930 on your day of departure. There is paid parking here. You will be extremely isolated during your stay. Please bring all essential medical and personal items with you. All food, linen and fishing gear will be provided during your stay. You will be provided with 3 meals a day, we can cater for most food intolerances however, please be mindful we are very isolated and may not be able to source some food choices. You are welcome to bring your own snacks on board. The Foxy Lady is licensed for beer and wine purchases. 0930 Meet the Pelorus Express in Havelock for your sounds cruise and transport. 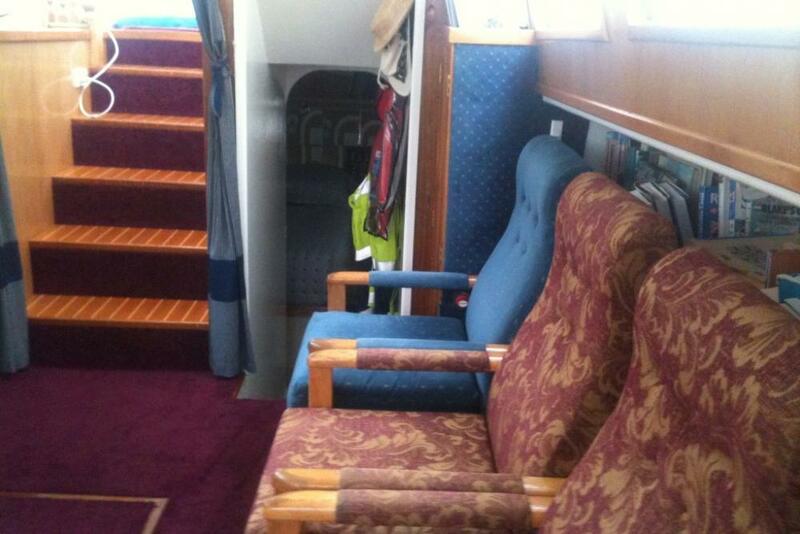 TBC Arrive at the Foxy Lady anchored in the best mystery destination The Marlborough Sounds has to offer. You and your gear will be transferred to her where you will be free to relax, fish, swim or take the dinghy for a walk onshore. 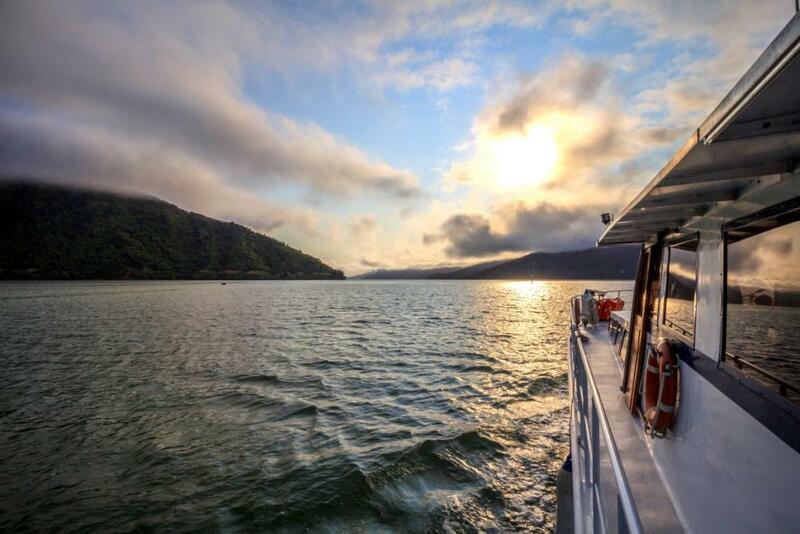 The next day is yours to decide how you would like to spend exploring the beautiful Marlborough Sounds. TBC Pick up from the Foxy Lady by The Pelorus Express for another stunning sounds cruise. 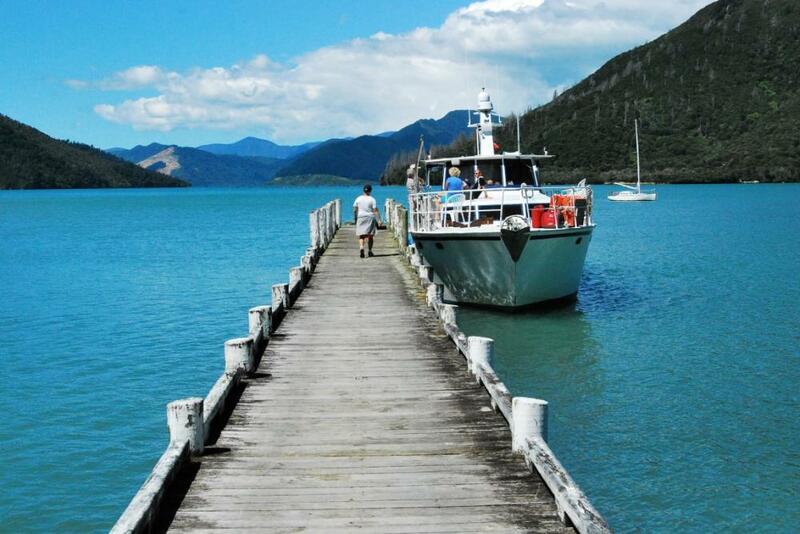 This package is one night and 2 days of everything The Marlborough Sounds can offer. Cruising, swimming, walking, fishing, exploring or boating. The ultimate sounds experience. A payment of 50% of the amount is required to secure your booking. If your arrival date is within 4 weeks of this email you are required to pay 100%. If you wish to cancel your booking for any reason 21 days or more prior to arrival date you will receive a full refund less the $40 non-refundable administration fee. Otherwise you will only get a full refund if we can re-book your dates.